An exhibit from the inquest into the death of Cheryl James has been released. 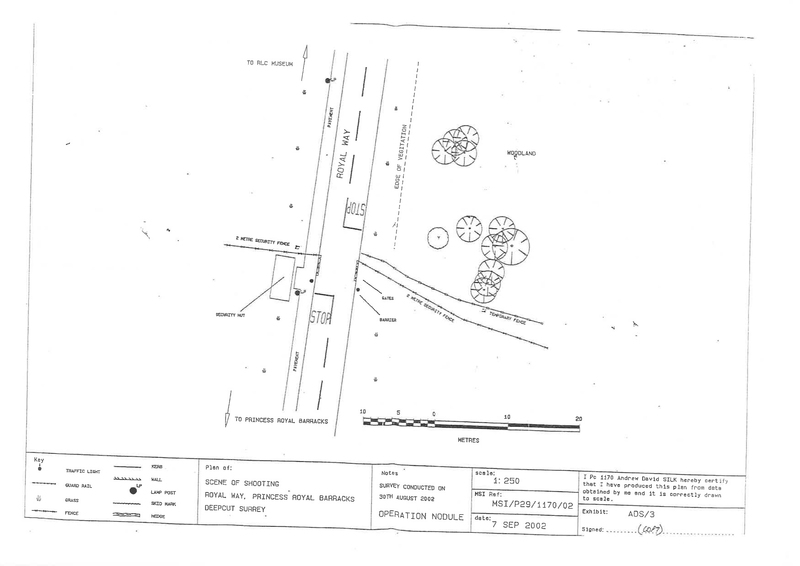 The image (exhibit C2) is a police diagram of the wooded area to the left of the Royal Way Gate at the barracks on approach from outside the camp. The image should be credited to Surrey Police.